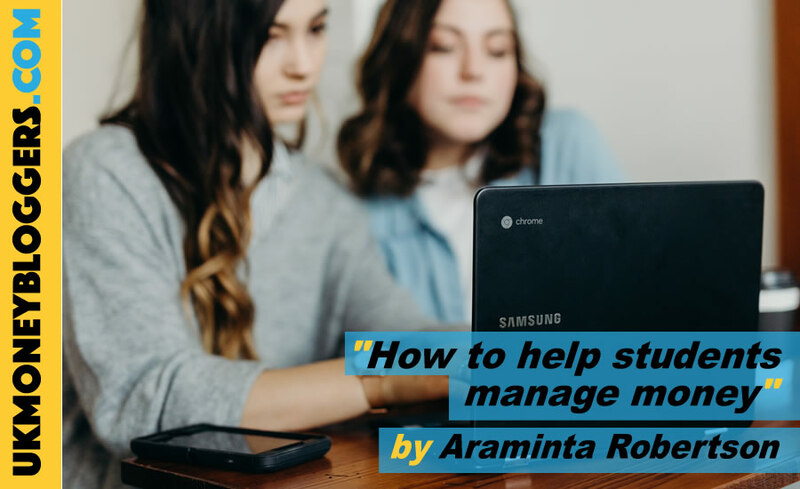 Araminta Robertson is the creator of Financially Mint, a personal finance blog for university students written by an actual student. She interviews experts, does weird experiments and a ton of research to help her and others graduate financially intelligent. Whether you’re a parent or someone who simply wants to help students out, there are several ways you can help our university students learn how to manage money. Why is it important? University is exactly the time when students start to get a bit more of a taste of the real world. And yet, no one is taught how to budget, how to understand the inflows and outflows of money, or even how to earn more money. So it’s important to teach the basics in university, to make the transition into the real world even smoother. But… it does seem hard to get them interested – I know, I have a blog about it. In university all you want to do is have fun, enjoy life and not have to worry about money. It’s normal. But one of the reasons I write a blog to help students manage their money is this: I meet way too many 30+ year olds who wish they had learnt about money when they were in university. So I’m not giving up, and you shouldn’t either. Honestly, this is the hardest part: convincing them that learning about money is important and that they should get onto it now. Depending on the personality, different things will work differently. For me, it was a book: Rich Dad Poor Dad. But for another student it may be a documentary: something like Enron. For some it may even be a podcast: try Listen Money Matters. The first step is showing them that money is important and that they need to learn how to manage it – the rest will come with self-motivation and a bit of guidance. Another way to get them interested is by using the words ‘how to make money’. No one can resist that, least of all, students. Tell your son/daughter/nephew/niece/whoever that you can teach them how to make money, and that you’ll help them through the process. If they have a mentor to look up to, they won’t feel so lost and confused. What’s the first lesson of any money management course? Budgeting. The simple act of tracking expenses and putting a limit on them. Making a budget is simple, but not easy – one needs a lot of self-discipline and motivation to stick to it. So how do I make my student suddenly acquire this? You do it with them. Sit down with them and work through the ins and outs of a budget (here’s a cool guide). Set them up on an app like Money Dashboard or Cleo and explain how to do each step. Ask them to do it for the month and report back. It’s a challenge, but it’s one that they can enjoy: ‘Look at me #adulting!’. The most important is to have a conversation about money: this is your income, these are your expenses, you want your income to be higher than your expenses and to save the rest. You want to teach them the systems: Save before spending, adjust the budget. If it’s coming from someone they trust, they’ll be more interested in trying it out. Students love investing the minute they understand it. Compound interest is very much in their favour because they start so young. Explain to them the difference between someone who starts investing at 20 and someone who starts at 30. Explain to them what the stock market it is and how it returns on average 7% every year, what index funds are and how they could be millionaires when they retire. Yes, investing sounds risky and scary – so start with the concept of saving, of Pay Yourself First. Every time they get their income, tell them to stash away a certain percentage of it. As they get used to the idea of saving, they’ll then be more interested in investing. Make sure you teach them how it works and the benefits, then set them up with a simple broker. Finance is always associated with ‘boring’ – many times the reason why students don’t even want to pretend they’re interested. So how do we make finance fun? If they’re college students (like me), apps are a good way to make it interesting. It’s on a phone, it’s easy to use and many times gamified. I also have list of cool apps to download, but the best ones are apps like Revolut, Chip and Moneybox. ⟵2018 SHOMOs nominations are closed. Who’s made the longlists? Thanks for this information. Very timely. My 18 year old starts university next month and he’ll be living at home. This week I sat him down and talked money. He agreed to have a budget for his groceries. We went shopping and he had his own trolley. Previously I found I was buying more and more to meet his appetite. He knows that the food has to last him a week. He seemed to enjoy the process and when I checked last night he was able to tell me that he still had sufficient meals for the rest of the week. I already use Cleo and had not thought of suggesting he use it too. I’ve got him set up on some survey sites and he’s already started to generate some money. Yes he likes the make money bit. I want to give him a good financial start and make it fun too. I shall check out the rest of your content and of course share your link with my son too. Wow! Off to a very good start – congrats. I wish the best of luck for your son and don’t hesitate to get in touch with me if you want some more information, advice, etc.